Rated 4th for fun and 8th overall in Ludum Dare 34. Need more? Play the PuzzleScript demake. Done. I f you'd like to edit the description just say so and I'll make the changes. fun little mindless game to play in french class, thanks! 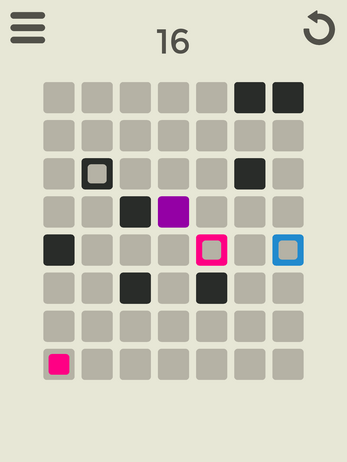 My favorite puzzle game ever. I love this!! And congrats with the Ludum Dare rankings! OUO Awesome job! The visuals are both appealing and effective, and the sound design is cute too! What I love about the gameplay is that it's easily picked up and learned but gets even more layered and challenging as new elements are added--it's deceptively simple, in the best possible way. Well done! Great game! 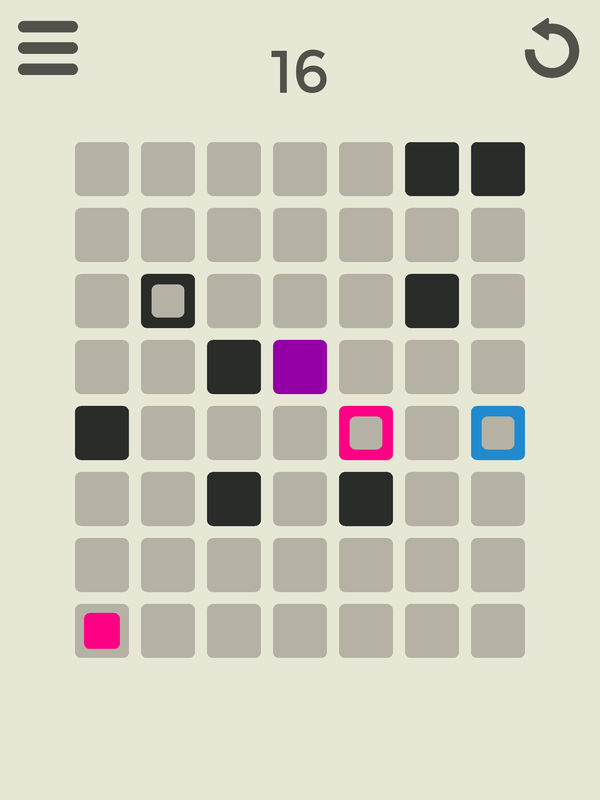 A lot of fun, cool colors and great way to increase difficulty and complexity. I played 30 levels and then Chrome unloaded the tab, and now I'm sad that I have to do 90 clicks and wait for 30 level start animations to get back to where I was. Can you just make a full level select grid? 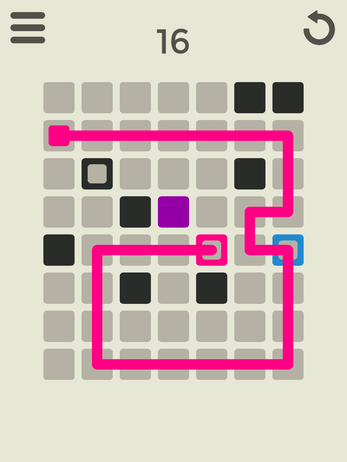 I really like this game, I think it has a lot of potential for mobile devices. You should get a port to iOS going too. The concept is really cool. Good job! Thanks for the praise. I'd love to get an iOS port going too. I don't have an OS X device to compile on, but my colleague does and I believe the game works on iOS, the only issue is I'm not sure of a good distribution method for such an early stage. Any suggestions? Hmmm... Maybe emu4ios? They host applications on their site, I'm pretty sure.